Advanced Home Improvement, Inc. specializes in Pavers and Landscaping designs and installations. If you are just starting to consider a project or ready to begin your next Home Improvement dream, one of our specialists is available to assist you from the design stage thru the installation. Many homeowners are removing their regular concrete slabs and replacing them with beautiful decorative Pavers. Adding a few pavers with some decorative landscaping will make the exterior of your home breathtaking! We have been providing personal and professional services to customers throughout the San Francisco bay area. 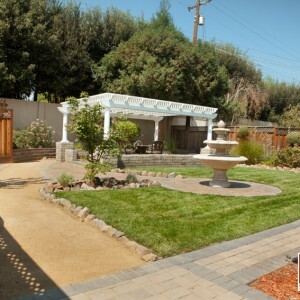 Our knowledgeable and experienced staff will assist you in finding the perfect yard design to complement your home.